15 October is Global Handwashing Day. By proclaiming this day, the World Health Organization WHO wants to draw attention to the vital role played by handwashing in the global struggle against infectious diseases. However, the setting up of hygiene measures is by no means a self-evident option in all regions of the world, some of which have only scant access to sanitation facilities. In northern Namibia, washhouses and sanitation installations were established as part of the CuveWaters research and development project and are seeing ever greater use from year to year. 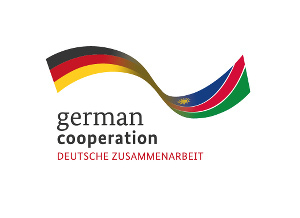 Approximately 850,000 people live in central northern Namibia. Around 40 per cent of those living in the urban areas have no access to sanitation facilities. This is about to change: in the course of the Namibian government’s ‘Sanitation Strategy’, toilets with water-saving flushing systems in combination with innovative wastewater technologies are to be deployed. Pilot versions of such sanitation facilities were put into operation two years ago within the CuveWaters research and development project headed by ISOE. They were installed in the fast-growing town of Outapi as a joint undertaking with the municipal authorities. It is mainly the residents from low-income households who frequent the sanitation facilities. They are currently total 1,500 people, more than double the number during the first year of the pilot project. 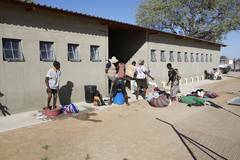 The installations are equipped differently: For a large settlement of shacks, a central washhouse with a large number of showers, toilets and wash areas was built. There are also smaller washhouses, each shared by four households. Another self-built settlement has a water and wastewater connection to each individual dwelling. Project leader Thomas Kluge from ISOE has observed that “the living situation of the people on site has improved significantly”. Clean running water, a toilet and the regulated disposal of wastewater are not just necessary for hygiene but also of vital importance in strengthening people’s faith in their state and democracy. “What is more, clean water is not just a matter of human dignity. It also opens up perspectives for new goals such as being able to work, learn and attend school instead of having to carry water for hours on end”, says Thomas Kluge. The sanitation facilities in Outapi are part of a complex, energy-efficient system for the disposal, treatment and recycling of wastewater. In collaboration with the TU Darmstadt and the IWAR Institute, they were developed for the CuveWaters project as a part of Integrated Water Resource Management. The project is funded by the Federal Ministry for Education and Research (BMBF). Watch the shortfilm documentary “Sanitation and Water Reuse in Outapi” here.